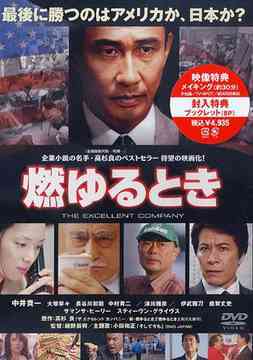 Set in the bustling 1980s, "Moyuru Toki" tells the tale of a Japanese food company attempting to break into the American market with its line of instant ramen. jorge Jan 11 2013 7:56 pm Moyuru Toki: The Excellent Company i was and that move i am from El Salvador Central America i lief my country went i was 11 year old and i fly to Australia Brisbane i was 24 year old went i was pick for the roll Moyuru Toki: The Excellent Company. I am so happy working with the director Tatsuoki Hosono he berry nice person working with him and i have the publish meeting her wife she is so sweet person but i was nervous. The move it was so good working japan es people they make me happy & relax i hope the people of Asia they liked.